TMAC Resources have just had a record-setting quarter by measure of tonnes mined, tonnes processed, gold production and gold sales. 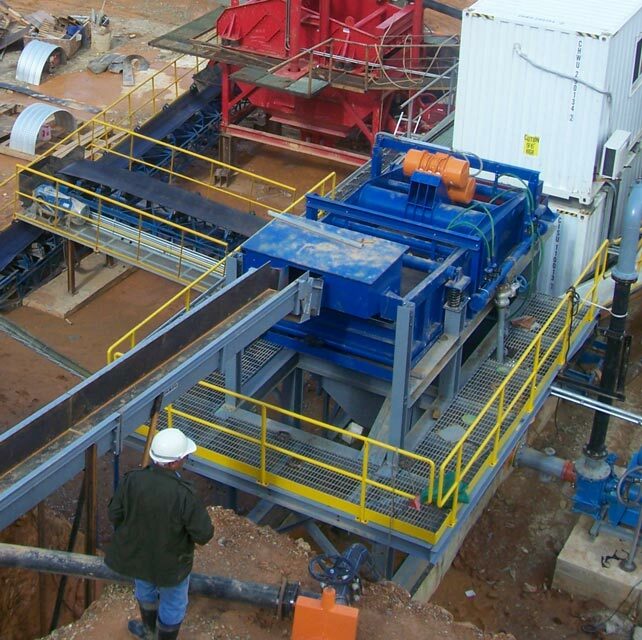 Gold recovery improvements have been attributed to their investment in gravity concentrator units like the Falcon SB400. TMAC is so pleased with their performance that they have ordered additional Falcon gravity concentrators for their mining projects. Earlier in the year, TMAC announced signs of recovery improvements shortly after installing Sepro gravity concentrators for the first time. This high amount of production helped produce a record high of 33,100 ounces of gold. The Falcon SB400s helped achieve these record numbers in both quantity and recovery rate. The machines help to achieve gold recovery at a sustainable rate of 82-85% and TMAC is upgrading to larger Falcon concentrators in November. The Falcon SB1350’s and two Falcon C2000’s will be up and running within the month to achieve an expected 90% recovery rate before the end of the year. The Falcon SB1350s are much larger than their 400 counterparts. With over 6 times the slurry capacity and higher G-force range, TMAC will be able to increase their tonnes per day while maximizing recovery. The SB means “semi-batch” which means they continually accept feed during the run cycle but only produce mineral concentrate during the periodic rinse cycle. Falcon C2000’s, on the other hand, are completely continuous gravity separators that do not consume process water. TMAC will be able to use these machines to recover gold and sulphides from tailings, thereby increasing the recovery amount. With these machines, TMAC is looking at having another record-breaking quarter. Sepro’s experience in the industry paired with investing heavily into gravity separation R&D has created the most powerful and efficient machines possible. If you’d like to improve your gold recovery rate, speak to one of our experts today and we can find the right gravity concentrator for your needs.